‘Richmond’ is a beautiful style with vintage border of cupids and using raised print on Oyster Wove board. 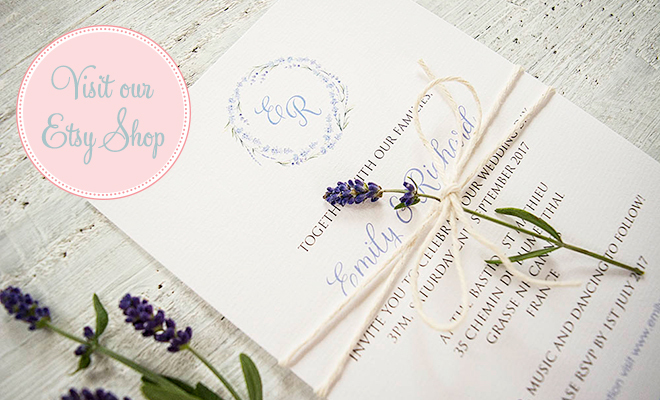 The typefaces used, Engraer’s and Marina Script, add to the charm of this vintage invitation design. 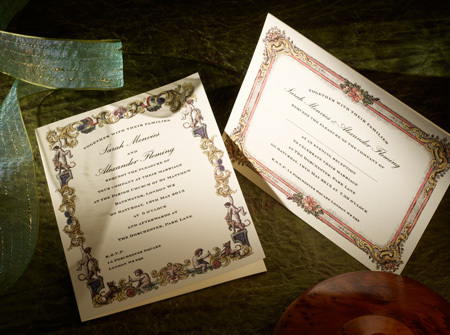 The standard wedding invitation is printed in raised rhodamine ink on 8″ x 6″ Oyster Wove fly card, supplied with matching envelopes (unlined).